What If You Mastered the Art of Living? Life Works! 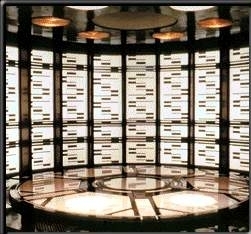 Like a Star Trek vision of teleporting from place to place, I have always believed that life can be mastered. I started on this quest in my 20’s, knowing there was so much non-productive baggage I was carrying. One wondrous realization I had was that living life through a series of repetitious experiences was not desirable. I realized life is about living today; past experiences served as teacher and sometimes as a protector. Learning about my inner world I became more balanced. Over time, my actions became more aligned as I trusted more and more of my inner guidance. Once I decided to challenge my beliefs, I began to question the thoughts that came into my mind. As situations arose, I would recall the opinions of my parents and friends. I compared their beliefs to my own. Determining what my feelings were, versus theirs, became a game of trivia helped by my own curious nature. Questioning myself and the truth of my beliefs opened the “ah ha” moments when I realized how I was undermining myself in favor of other’s opinions. What was I really trying to achieve if I could not claim my own truths? This sorting out process left behind any need I had for approval. Another awareness surfaced then, the need to build a relationship that I could trust, in order to develop my inner barometer. Surrendering to this voice brought clarity and direction, and developed a sense of Self-knowing within me. It was no longer acceptable to live under the truth of others. I was determined to learn the truth for myself. I had no excuse but to develop and enhance my own guidance mechanisms. I became ruthless in the stance I took with myself so that I could come to know the feeling and knowledge housed within. A quiet mind was essential to listen to this voice and glean the cues from my body. My attitude required becoming the inner researcher (I was my own scientific experiment) in order to question my actions and feelings. The approach had no room for judgment. Rather, it was my curiosity and commitment to know truth that was essential to the development of my awareness. The path of discovery led me through a seemingly endless past, as I examined my thoughts daily. My attitudes, perspectives and approaches to life needed to have freedom, so I could look at others from a new place. My core of self-knowledge had to unite with living in purpose and integrity. Peeling back the layers, without judgment and blame, led me to open the door to my true self. The realization of how tough I had been with myself led me to the conclusion it was no longer necessary to be perfect, overly sensitive, judgmental or “right.” Living in the past or in the future would only distract what needed to be done in the present. Letting go of my dependency on the outside world led me to make adjustments which were not always easy. As I built my new inner-connected life, one experience at a time, I became comfortable and trusting of the intimate relationship I was building within. The outside world began to lose its influence. Life is meant to be creative, stimulating and growing in everyday experiences. You are always given the opportunity to learn, experience and experiment. Creativity in living is life’s dance. Opening the door to greater and greater possibilities keeps life fresh. I had the pleasure of spending the evening recently with a dear family friend who has been writing a news column for the past 40 years. The joy in our time together was highlighted by her fresh outlook and her acknowledgment that she keeps learning new facets of her expertise. For her, there is always more to learn, more to experience and more to articulate to her readers. In her eyes, at 82, life is a discovery of what is new. Have you ever noticed that the people you most aspire to be like, are those engaged in and living life fully? Could this be you? Are you embracing the aspects of life that enrich you? Do you desire to share the magnificent moments in your life with others? Is your lifestyle filled with the freedom to explore more and more? Do you feel the true potential to celebrate yourself? The art of living includes learning, sharing, changing, adapting and knowing there is always more to life. I have been blessed to spend time letting go of experiences that limited me. Learning to be in touch with my inner core has been a life-long process. My life is freer than ever before. The world of obligation has been replaced with the knowledge that my best contribution to myself and everyone else is to be more aligned with my creativity and the depth of my inner life. Taking more time for yourself gives you the sense of a greater participation with life. You are no longer rushed or dominated by the world outside you. What once influenced you to live life with the outside world as your benchmark, is released in favor of the internal direction of what you need to do, where you need to be and the timing of taking action. Within your quiet place, the rhythm of life and inner knowledge take over and the dance becomes a constant nurturing force. Trust and confidence demonstrate themselves in your inner direction and the actions you take, as your true nature shines. What you once called the world of coincidence becomes everyday happenstance. At some point you will realize you are navigating life differently. Life has changed, the circumstances of everyday actions have also changed and life accelerates. Time seems to compress and more is accomplished with less effort. You know you are in the right place at the right time. You are the master in action! Have you recognized that life has more to offer than you currently see and feel? Do you trust yourself enough to develop and strengthen your alignment? Are you willing to be quiet in order to master your inner relationship? Why not go toward mastering your connection with yourself! Ready to have a virtual cup of tea with Laurie and talk about where you’ve been (and where you’re heading)? Reach out to her here to schedule a complimentary session. This will guide the two of you on how to move forward, together. You’ll explore the possibilities so that you know your next steps!